Planning ahead for elder law is just as important as considering your estate and your retirement planning. Unfortunately, despite the fact that elder law has become more popular and widely practiced by attorneys in recent years due to the number of people nearing and reaching retirement, elder law mistakes can still be made that can compromise the integrity of your estate plan and make things more difficult for you or your children. Transferring your assets to your beneficiaries in the manner and in the time frame you want. Protecting your assets from the cost of comprehensive long-term care and the qualifications for government benefits. Choosing trusted individuals who are able to manage your affairs if you are disabled. Keeping your assets in your own bloodline and protecting them from the future claims of creditors, lawsuits and divorce as associated with your children. Furthermore, you will also need to consider the benefits of doing everything you can to avoid a guardianship proceeding. This can allow a judge to appoint someone else to step in and manage your affairs, if you are unable to do so and if you have not explained your desires for who is eligible to step-in in this case. Most people already know that their last will and testament is the cornerstone of their financial and estate plan. However, many consumers don’t have this critical document in place. A 2014 American Journal of Preventive Medicine study found that up to three-quarters of Americans don’t even have a health care proxy, an advanced directive or a living will. That’s in addition to only 42% of the population having a will. 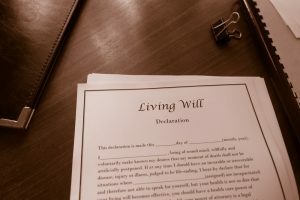 A well thought out will is one of the most important preparations to put in place as you age, but there are other estate planning and end of life documents that should be considered. Make sure that when you spend all of the time to put together necessary documents to protect your assets and to articulate your end of life wishes, that you provide information for your loved ones or at least your attorney to access this. In a heat of the moment and in the midst of a crisis, it can be challenging for your loved ones to figure out where you have stored such information, but an experienced attorney can be one method for protecting your interests and your rights. 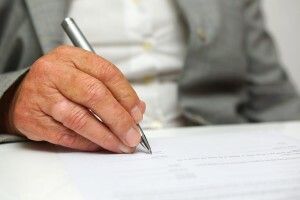 What Distinguishes Elder Law Estate Planning from Traditional Estate Planning? In general, estate planning refers to all of the steps that a person takes to protect the assets they have worked so hard to build and identify a plan for distribution. Furthermore, the documentation used in the traditional estate planning process helps to articulate who you would like to make decisions on your behalf if you were to become unable to do so. There are plenty of different reasons to conduct elder law estate planning, which is somewhat different. Elder law estate planning involves the intersection of many complicated issues, including your estate plan and your retirement plan. You can benefit organizations and people that you hold dear by articulating to whom you want your estate to go. A comprehensive elder law estate plan can assist you in accomplishing these goals. Elder law estate planning services everybody. 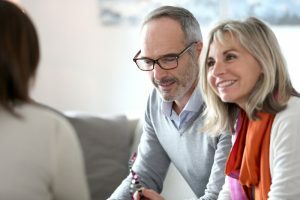 To save your family the court costs, the legal fees, and family disputes when it comes time to settle your affairs, engaging in elder law estate planning allows you to fully encompass all of the different assets inside your estate and what you would like to happen to them when you pass away. Furthermore, elder law estate planning contemplates whether or not you may need Medicaid in the future and what assets or savings plans you have in place should something happen to you that prompts a long-term care event. Consulting with a dedicated estate planning attorney who also practices elder law can give you a board overview of the critical issues you need to be familiar with in this process. Most people have not had the experience of keeping an attorney on retainer. Most of their interactions with a lawyer happened for a specific purpose, like buying a house or handling a sudden litigation issue. That’s why it can be confusing when facing elder law issues, because you need to identify an attorney with whom you can form a relationship. Your elder law attorney should be someone you can trust, because he or she will be helping you with the planning and decision-making associated with your golden years. As people are living longer, there are more and more complex issues that need to be addressed by people facing retirement age. Having a long-term plan for your assets and your healthcare is important, and an elder law attorney should work with you personally to help identify your individual needs. These are just some of the things that an elder law attorney can help with, but it’s essential that you find someone who focuses on holistic solutions. No two people are the same, and each elder law planning opportunity presents the need for unique considerations. Make sure you identify a New Jersey elder law attorney with experience in the field. 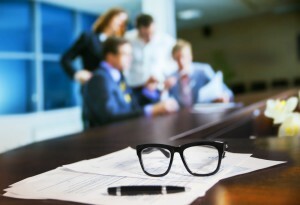 What Are the Advantages of Working with an Elder Law and Special Needs Attorney? When you work with an elder law attorney, you get the benefit of knowing that this individual is well aware of the laws impacting you and your loved one and is committed to helping you apply them correctly. There are clear policy guidelines associated with agencies who administer programs for individuals with disabilities and the elderly. An experienced elder law attorney can help you evaluate all the potential issues associated with your loved ones and to determine the appropriate strategies for assisting and protecting you well into the future. There are many common mistakes that individuals might make in the process of handling an elder law concern and this can be catastrophic as it relates to qualification from Medicaid and other aspects of long-term care. Consulting with someone well in advance helps to address issues down the road but it can also be beneficial to form a relationship with an elder law attorney after an issue has arisen. Speaking with someone who is knowledgeable about the law and helps other clients with similar cases gives you the peace of mind that you are working with a true professional. Do not hesitate to contact an experienced elder law planning attorney in New Jersey today to learn more. Your walkthrough of an elder care facility is important for determining if it’s the right place for your elderly loved one. Are there wheel chair ramps? Is there an exercise or activity room? Are there outdoor areas where residents can walk or sit? Are married couples allowed to share a room? Are wheelchair ramps easily accessible? Are there curtains or screens for privacy in rooms with more than one resident? Are the rooms kept at a comfortable temperature? Can residents adjust the temperature of their own rooms? Are residents allowed to bring their own furniture? Are there ample storage, rooms or spaces? Is there an evacuation plan posted? What kind of medical supervision is offered? Are there any personal or beauty services offered? How do residents and staff interact? Are there any language barriers between residents and staff? How often are social activities scheduled? Are fire exits clearly marked? Is the food well-presented and appetizing? Is the down payment refundable if the resident passes away or moves? What responsibilities do family members have in assisting with payment obligations? If you are thinking about moving your elderly loved one into a care facility. It is a good idea to consult with an elder law attorney to answer questions about how this will be financed and to address any concerns associated with Medicaid. Elder law refers to a practice that is devoted to the needs of older clients. Elder law attorneys have specialized knowledge about long-term care planning, advance health care directives, powers of attorney, probate and trusts, guardianships, and asset protection. 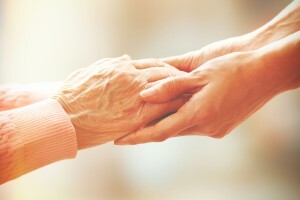 While many elder law clients turn to an attorney in the midst of an elder care planning crisis, you might also reach out to an attorney with experience in this field so that you can plan ahead. There are many reasons that you might need an elder law attorney. If you or a loved one has concerns over the cost of long-term care and how you will be able to pay for it, then it’s pertinent that you speak to an elder law attorney as soon as possible. Your attorney can walk you through the various options to pay for long-term care, including any government programs for which you or your loved one may be eligible. An elder law attorney can be crucial for helping you learn about qualifying for these programs and walking you through your options to ensure that your wishes are carried out in the manner that you intend. 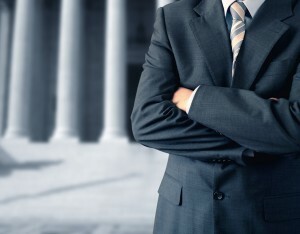 These are just a handful of the ways that an elder law attorney can help you. Whether you’re in a crisis situation or looking ahead to plan for the future, contact an elder law attorney to get the information you need to make these important decisions. Reach out to us today at info@lawesq.net. What’s the Difference Between Elder Law and Estate Planning? What happens if I live? Invariably, both elder law and estate planning in some ways address both life and death. Increasingly, estate planning tools help individuals capitalize on plans while they are still alive. Estate planning, however, has a much sharper focus on what happens when you die, especially when it comes to the transfer of your assets. A lot of the questions addressed in elder law, however, have to do with helping people plan for the future within their own life. As longevity is a major concern for today’s elderly, planning in advance for aging and long-term care are just as important as factoring in estate planning. Estate planning and elder law work together. Imagine it this way: what benefit is putting so much effort into planning for the transfer of your assets on death when you pass away if all of those assets are put in jeopardy by one major health event? Elder law works to protect those assets and get you thinking about these concerns early on so that you can meet your estate planning goals. Send us an email today at info@lawesq.net to learn more. There’s a flurry of activity in D.C. lately that might have an influence on your retirement plans. The proposed Obama budget has some important considerations inside for IRAs and Social Security. To start with, the plan suggests “harmonizing” required minimum distribution rules making mandatory RMDs for Roth IRAs after the individual passes age 70 ½. As of now, Roth IRAs still offer unique benefits since they are not in line with other rules on RMDs in retirement accounts. A second proposal inside the budget suggests a cap on IRAs that would limit what an individual can put into the vehicle once they have surpassed a “secure retirement” stage. This would influence wealthy individuals and could reduce opportunities for roll-over from an employer sponsored plan. Finally, the government aims to explore ways in which to maximize Social Security benefits. Currently, some retirees are able to get the most out of Social Security with claiming strategies, but the government wants to reduce any windfalls and use those savings to help make the Social Security program more solvent. As always, tax, retirement, and estate planning are subject to change often- and they do. These proposed changes could influence your own plans. Staying on top of the game by working with a qualified planner “in the know” can ensure that you’re getting the most out of your plans. To learn more, email info@lawesq.net or contact us via phone at 732-521-9455 to get started. There are alternatives, however. Structuring your estate in a particular manner can help you guard against the cost of long term care. Two common strategies are eliminating assets through trusts and transfers. This means that down the road, if you need to reduce your assets for Medicaid eligibility, you’ve already done most of the work. If you are confronted with a long-term care event before you have done this, you could find yourself having to “spend down” your assets anyways before government assistance kicks in, depleting your savings and forcing you to do it rapidly, which is rarely in your best interest. However, if you do it incorrectly, it has the potential to have a severely negative impact on eligibility and penalty periods. To learn more about trust planning, gifting, and other strategies to mitigate risk in estate planning, email info@lawesq.net or contact us via phone at 732-521-9455. A judge in Pennsylvania has thrown out a case of assisted suicide lodged against a nurse who was charged with murder last year for allegedly giving her father a bottle of morphine pills. The decision is the latest in a series of developments signaling that courts and states are not interested in criminalizing care that may hasten death, according to a report on NPR.org. In this case, Barbara Mancini, 58, a nurse, was charged with assisting in the suicide of her 93-year-old father in Feb., 2013. The father, Joseph Yourshaw, was in home hospice in failing health. A hospice nurse checked on him and found him unconscious. The hospice had him taken to the hospital by ambulance against the wishes of the family. He was revived, but died a few days later. In a scathing 47-page opinion, the judge wrote that the state did not establish that Mancini had committed a crime — that she tried to help him commit suicide rather than ease his pain. She said the charges were based on speculation. Mancini said she only wanted to help ease his pain but a hospice nurse and a police officer said she told them she wanted to help end his life. He had previously told hospice workers and family that he wanted to die. 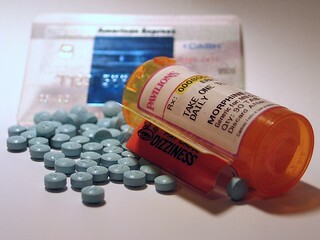 The judge said there was no evidence Mancini fed him the pills and noted that the man was capable of opening the bottle and taking the pills on his own. It was ruled he died of a morphine overdose. More and more, elderly parents are moving in with their grown children. With the increasing costs of nursing homes, this makes financial sense for many people. But what should you and your parents do to prepare for such a dramatic move? Issues that must be considered range from the financial to the emotional, according to an article on elderlawanswers.com. The first thing to consider is the financial details. If the adult children who are taking in their parents have siblings, they should work something out so that the other siblings (those not taking in the parents) contribute something towards the costs of rooming and boarding the parents. Costs can mount up. Besides food, one may need to do renovations or hire a home care aide. Consider having your parents sign a contract under which they pay their children for taking them in. Maybe the parents can contribute to the remodeling or gift their own house to their children. There may be tax consequences to these actions to consider. To avoid or reduce resentment and guilt down, family members should discuss everything out in the open at the outset. An elder law attorney can help work these things out. Once the decision has been made, one should consider making the home senior-friendly. This may involve putting on an addition to the home, installation of grab bars in the bathrooms, installation of ramps or conversion of a room on the first floor into a bedroom if necessary. You may also be able to take a tax deduction by claiming your parents as dependants. And make sure to seek out support from organizations such as local agencies that work on aging issues. As life expectancy continues to rise, so does the possibility that an individual will require long-term care at the end of his or her life. A recent article states that 7 in 10 Americans will require long-term care at some point in their lives. Unfortunately, as life expectancies rise, so do the costs of long-term care. Many families do not realize how high the costs of care are until they are trying to place a loved one in a facility. Many studies estimate the cost to range from $8,000 per month to $13,000 per month. At that point, it is too late to utilize any sort of planning or saving and the financial reality can be devastating. Therefore, it is important to have a plan to cover your long-term care costs. Below are three of the most common ways that people plan to pay for their long-term care. 1. Save and pay out of pocket: If you believe that you will be able to pay for your long-term care costs out-of-pocket, be sure to conduct some research to predict how much money you will need to save and account for contingencies. 2. Purchase long-term care insurance: Long-term care insurance is becoming a more popular method through which individuals pay for their long-term care costs. Importantly, be sure to purchase this early for the best rates. 3. Spend down your assets so that you apply for Medicaid: Medicaid is a needs-based program. Therefore, your assets must be below a specific threshold in order to qualify for benefits. 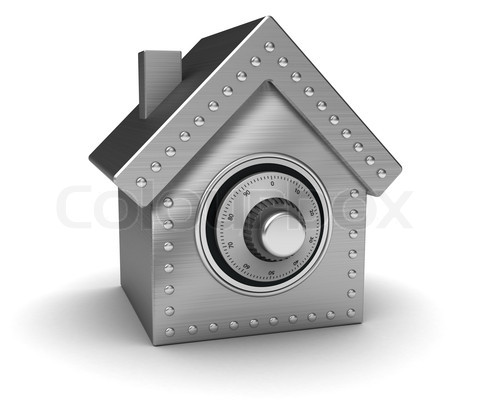 If you are above the threshold, you may be able to carefully spend your assets down until you qualify for coverage. Which is right for your family? After the story of Eryetha Mayberry – the nursing home patient whose abuse was caught on a hidden camera – became widely known, the type of surveillance used in the case has grown increasingly widespread. However, some have been quick to criticize the practice. A recent article discusses some of the arguments made for and against the use of “granny cams” in nursing homes. Opponents contend that the secret monitoring raises ethical and legal questions. Not only is the family member being video taped, but whoever passes in and out of the room is caught on camera as well. Although a protective measure, the cameras are also an invasion of privacy. Some argue nursing home staff should be made aware of the cameras. Proponents of this form of surveillance argue that the technology is incredibly accessible and widespread. For example, ‘nanny cams’ are often used when parents hire a new babysitter for a child. However, there is a difference between secretly filming a babysitter caring for an infant, and secretly filming aides caring for a full grown adult. Whether you agree or disagree with the use of secret cameras in nursing homes, it is important to remember that the real problem is the abuse that is occurring. Perhaps nursing homes need to work harder to address the deep-seated issues at the many facilities that have had abuse complaints. One major part of estate planning is determining what kind of care, if any, you would like to receive at the end of your life. Although most people would rather not think about the end of their life, a recent article explains the importance of giving serious consideration to end-of-life care. If you have thought about what type of care, if any, you would like to receive at the end of your life, it is important to complete an advanced medical directive and a medical power of attorney. These documents will allow you to put these desires in writing so that medical staff will be aware of your wishes when you cannot otherwise communicate with them. Additionally, they allow you to select the person who you trust to make medical decisions on your behalf. One common type of advanced directive is a do not resuscitate order (“DNR”). A DNR advises medical staff not to take life-saving measures in the event that death is imminent. If you have a DNR, it is important to keep it in an easily accessible location, and inform your family and doctors of its existence. Importantly, an advanced directive that directs medical staff not to prolong the dying process does not withhold medicine and other procedures meant to keep you comfortable during the dying process. Conversely, you could also complete a prolonging procedure declaration. This document instructs medical staff to do everything they can to delay death, even when it is imminent. With the changing field of health coverage and insurance thanks to the Affordable Healthcare Act, senior citizens who receive or are anticipating receiving Medicare may be understandably confused as to what the changes mean for them. A recent article discusses what seniors need to know about Medicare. Primarily, senior citizens have faced confusion over whether the changes implemented by the Affordable Care Act will cause their Medicare or Medicaid benefits to be reduced or changed. This confusion partially stems from the fact that the open enrollment period for Medicare overlaps with that for Obamacare. If you are receiving Medicare, the open marketplace does not affect you. If you have a loved one who is receiving Medicare benefits, be sure they understand this as well. There is concern that once open enrollment opens, scam artists will target seniors, preying on this confusion. Too many of our nation’s senior citizens have suffered financial abuse from strangers, caregivers, and even their own family members. As a recent article explains, federal regulators at the Consumer Financial Protection Bureau have told banks that they can report suspected financial elder abuse to the authorities without violating privacy laws. The announcement was intended to assist with a crackdown on financial elder abuse, which has reached epidemic proportions. The Government Accountability Office has recently reported that in 2010, financial elder abuse had cost America’s senior citizens $2.9 billion. As director of the Consumer Financial Protection Bureau, Richard Cordray explains that those who work at banks and credit unions “may be able to spot irregular transactions, abnormal account activity, or unusual behavior that signals financial abuse sooner than anyone else can.” Before the announcement, however, bank and credit union employees were afraid to report suspicious activity due to the Gramm-Leach-Bliley Act. Not only should the new guidance encourage bank and credit union tellers to report suspicious activity, but it will also make it easier for those investigating possible cases of financial elder abuse to access the suspicious accounts. What is an Irrevocable Funeral Trust? One tool for those looking to spend down their assets in order to apply for Medicaid benefits is the Irrevocable Funeral Trust (“IFT”). Through an IFT, a person can set aside funds to pay for his or her funeral and burial expenses. Importantly, funds in an IFT are not considered to be part of a person’s estate for purposes of Medicaid qualification. A recent article discusses the basics of the IFT. Importantly, an IFT should not be used by just anyone. High net-worth individuals who will not require Medicaid assistance, for example, would not use an IFT because they likely have sufficient funds or insurance policies that will cover medical expenses. However, those who are worried about how to pay for their long-term care costs and do not have money earmarked for their funeral should consider an IFT. A person taking out an IFT will be required to pay completely in advance, and will not be permitted to take out an IFT for an amount that exceeds 125 percent of the average funeral cost. Importantly, no medical underwriting is necessary for an IFT. Beyond the one-time payment to the insurance company, the insured party faces no expense from the trust.